Bath Salts, Synthetic Marijuana, Salvia, what’s next? As a parent how do you even keep up with the new drug trends? To keep pace you would probably need to spend a great deal of your time glued to your computer reading the internet. Just when you think you have all the information you need, you read, see, or hear something about a new drug that the kids see as all the rage. Part of the problem with today’s drugs is certainly the misleading presentation. Synthetic marijuana, for example, the name itself implies it is not real marijuana which may then suggest that it is not a real drug. How about bath salts? Who would ever believe that this product sold at the local head shop could be dangerous and/or addictive?Unfortunately, that is exactly what the distributors of these drugs want your kids to believe. Just because their efforts to skirt regulation laws have been successful, however, does not mean they are safe. Recently,though,I am happy to say there have been attempts to make these cleverly packaged bath salts illegal. Then there’s alcohol. All teens drink, right? WRONG! As parents, it is easy to tell ourselves that a drink here and there is not so bad. Find a bottle of vodka hidden in her closet; maybe he had a water bottle cleverly filled with rum? No big deal, well….maybe. As a parent where do you draw the line? Maybe you’re a parent who believes it is better for your teen to be partying at your home where you can keep an eye on him and his friends. Before you go ahead and give permission there are a few facts that you should know. Research indicates that teens who are allowed to drink at home are more likely to become substance abusers. This is also true for parents allowing their kids to smoke pot. Researchers (and clinicians) offer a clear explanation for these findings. You see, your teens look to you for answers. When teens are given permission to drink or drug they make generalizations that such behavior is okay outside of their home as well. If a parent allows their teen to drink beer there is a high likelihood that the teen will also believe they have the green light for hard alcohol. You should also be aware of your local laws. In many localities if teens are found drinking or drugging at a teen’s house, the parents of this teen can be arrested and charged with serving minors. This can even occur if the parents were not home and/or had no knowledge the partying was going on in their home. 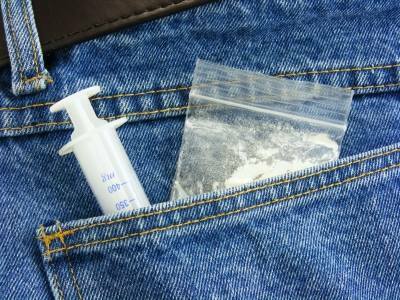 If kids are doing drugs in their home, the charges can be quite serious. As a parent you know the importance of talking to your teen about drugs and alcohol. You also are probably aware that this is never just one conversation but a series of many over the course of their teen years and transition to young adulthood. As I always say, avoid talking to your teens about the perils of alcohol and drugs with a martini in your hand!